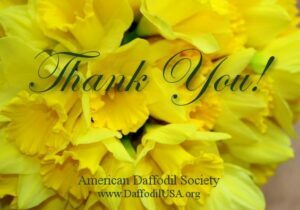 I got a call from Jim Russell this morning, informing me that the Arkansas Daffodil Society is cancelling their March 25-26, 2017 show in White Hall, AR. Similar to the experience many are having this spring, Jim said everyone will be “bloomed out” by then. I hope folks will bring blooms to Sacramento next week, instead! of the LA MISS Society. Some of us enjoy getting results and photos from the other hemisphere. Please be kind and get your results on Daffnet so that the rest of us can enjoy your season with you.